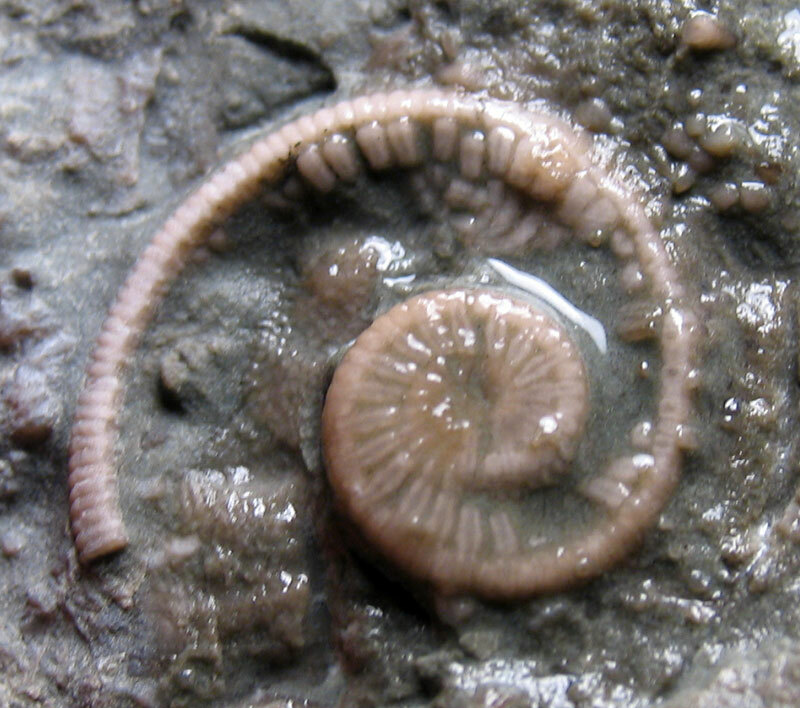 Silurian Period Myelodactylus crinoid fossil found in the Waldron Shale of Clark County, Indiana. 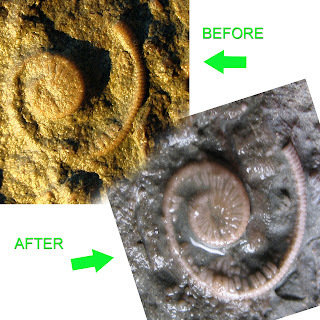 This fossil has been prepped with air abrasion cleaning. The rock this fossil is in is pretty hard and is difficult to remove. Above is a comparison image what the fossil looked like after it was found and then later after it was sand blasted and then washed off. 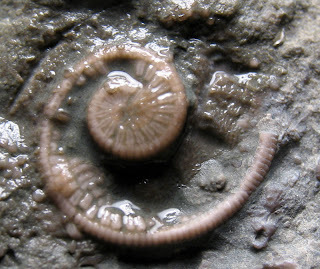 The picture below where the fossil still has water on it shows some sort of detail of a series of plates the inner spiral is resting on. 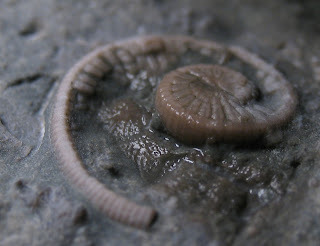 As always if you want to see some remarkable fossils from Indiana in person, visit the Indiana State Museum at 650 West Washington Street, Indianapolis. 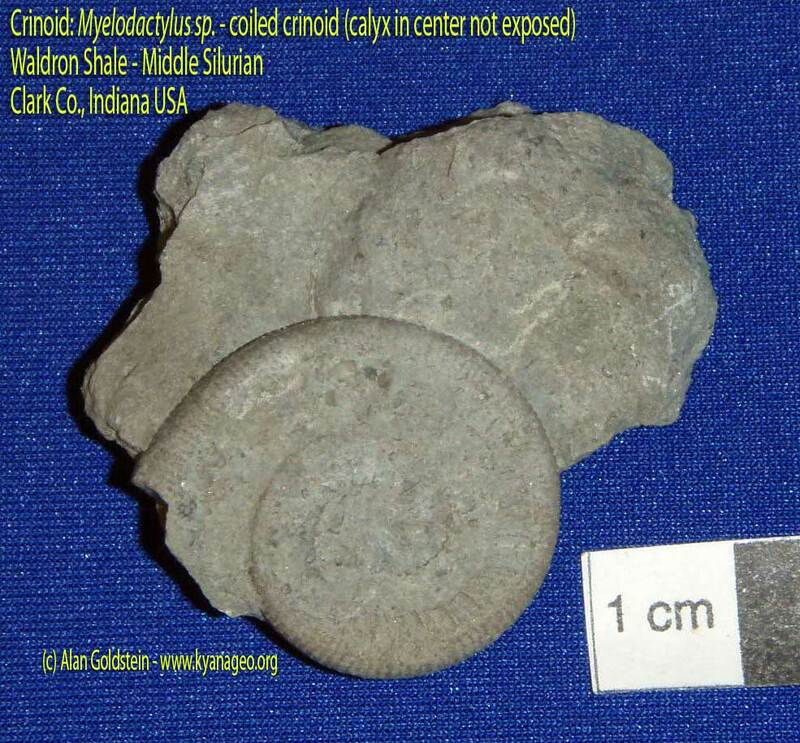 They have a truly amazing display of Crawfordsville, Indiana crinoids. 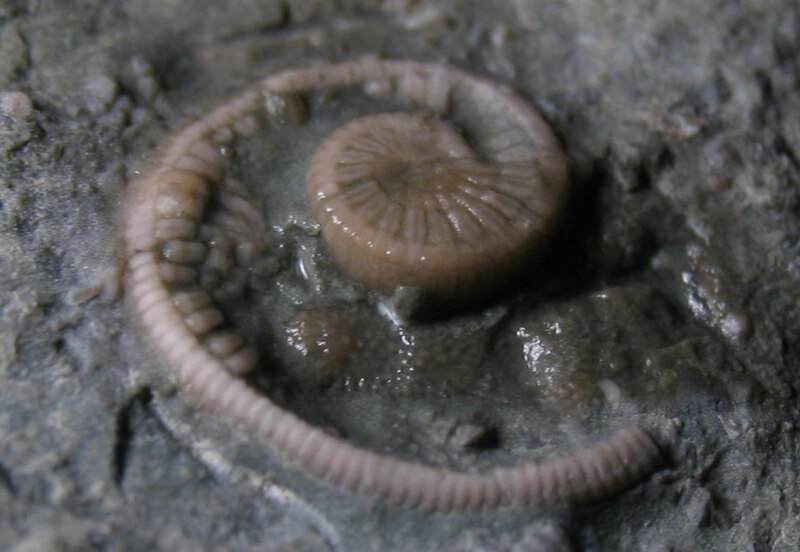 Their database contains a number of Waldron Shale crinoids as well viewed at this web page.